The USBS24 is a single USB charger that plugs in to the vehicles cigarette lighter. 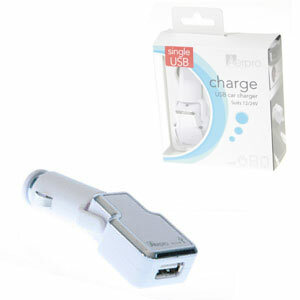 It is 12 and 24 Volt compatible and has the capability of charging iPad, iPhone/iPod, Cell Phone,GPS and Sat/Nav. Has an adjustable angle to suit different charging locations.